According to the Oxfam Australia (2018), they are working together with the ACCHS to help the indigenous Australians in self-determination. This involves helping them make decisions on programs and policies that directly affect them, their health. They (the ACCHS) also support them (the ATSI) in the decision making process. Self-determination helps them be heard by politician and the community. Together with other organizations, the UCCHS formed the close the gap initiative help solve health inequality in Australia (Mazel, 2016). Together with the Oxfam, in 2016, they launched the Redferm Statement that tackled complex program and policy issues affecting the indigenous community (Oxfam Australia, 2018). The disparity in the health sector between the aboriginals and the non-indigenous people is the core business for the ACCHS. They came up with the closing the gap framework, committed to resolve this disparity and promote social, economic and emotional wellbeing of the ATSI community. With their goal to make a healthier community, they have incorporated the health care facilities with their main goal being of early realization and intervention, prevention and coordination of care (Panaretto, Wenitong, Button and Ring, 2014). Planning and evaluation of health care are the core components of the model of comprehensive and quality primary health care. This model was innitiated by the government and researchers to promote clinical services, community involvement in health care, cultural safety and health promotions among the ATSI community. These models provide the evidence, time and resources required to manage and solve the complex problems that occur during the health care practice. The patient centred medical home model is thought to be the best for application in general health care practice but has no difference to the ACCHSs model (Department of Health and Ageing, 2009). The Victorian Mental Health Network (VAMHN), developed in 1987, is a program made to handle mental health issues for the Aboriginals. This program has developed policies and services such as the society consultation unit and educational seminars based on health matter and Aboriginals culture. This program was made to address the low life expectancy and health inequality faced by the indigenous community. The VAMHN and many more programs for the ATSI community are run by the indigenous people (Harfield, Davy, Kite, McArthur, Munn, Brown, & Brown, 2015). This program has received support locally and all over Australia from the indigenous community. This has made them achieve more success in their service delivery. According to the Australian College of Nursing (2017), much has been done in closing the gap in the health services delivery between the ATSI community and non-indigenous Australian but still more has to be done. Li (2017) claims that this health inequality still exists and health care officers have the core role to offer an effective and a long-lasting solution to this disparity in the health facilities. The nurses are positioned to initiate and maintain contact with the ATSIs in the health care facilities and also at the community level to address socially based health care. Therefore nurses are important in providing both rural and urban health care services to the Aboriginal community (Australian College of Nursing, 2017). The NSQHS standards were put down by the government, territories and states in collaboration with health professionals, carers and patients, with the primary goal being to improve and promote the quality of health services and also protect the public, especially the Aboriginals, from any hospital based harm (Australian Commission of Safety and Quality in Health Care, 2018). In 2017, the NSQHS standards second edition was released and it addressed health literacy, mental health and the gap existing between the aboriginals and non-indigenous Australians in the delivery of health care services. These standards required that the health facilities to address six parts specific to the ATSI people. The commission believed that on addressing these key parts would improve and promote the quality of care and health for these people (ACSQHC, 2017). Among these strategies, the commission was to address the health needs of the ATSI people. This could be achieved through putting the community a priority when setting policies and strategies and monitor their progress on routine bases. This would help the health care needs of the community. This would also improve the health outcomes of patients and their families. The standards also included improving cultural competency and building and maintaining a welcoming environment in the hospitals. This would make the ATSI community feel valued and comfortable as they engage with and receive the health care. The NMBA have partnered with the APRA to regulate registered midwives, nurses and students so as to protect the Australians (Nurse & Midwife Support, 2017). They work under the vision of flexible workforce to for nurses and midwives so as to maintain a safe and competent health practices to meet the present and future needs of the citizens (Act government, 2015). Nursing and Midwifery Codes of Conduct are rules and professional standards that every nurse and midwife must uphold. These standards are anchored on effective practice, upholding public safety, putting the public a priority and promoting and enhancing trust and professionalism (NMC, 2018). Smith (2008), in his article claims that the new code of conduct in Australia is dedicated to uphold and respect the culture of the indigenous community with nurses and midwives obliged to fully adhere to these codes. Cashin, Heartfield, Devey, Buckley, Cox, Kerdo, Kelly, Thoms and Fisher (2017) think that these codes are important as they aim at protecting the people by providing the threshold level for the performance of nurses and midwives. It also helps in partnering with the ATSI community and providing a person centred and culturally safe health care (Cashin et al. 2017). According to Den Berg (2010), cultural safety was introduced in the health sector back in the 1980s though it is taking long to change the mentalist and attitude of the colonialists and inherent racists towards the ATSI community. She thinks that the nurses and health organizations have to forget the past policies and accept the indigenous knowledge community as their equals rather than patronizing them. This would reduce the rate of mortality and morbidity among the ATSI people. Australian midwifery students must show competency in offering culturally safe health care before get registration. They are to embrace and respect the relationship between health results and cultural safety for aboriginal patients (Phiri, Dietsch and Bonner, 2010). If the health professionals are to achieve a culturally safe health care for the ATSI community, there are a couple of things they must consider. They should create a welcoming environment. For this to be achieved, they nurses must be aware of the complex practices and belifs of the ATSI people. Most of the indigenous people find the health facilities unwelcoming and therefore are reluctant to access them. A safe and welcoming environment would make them feel respected comfortable, safe and be confident that they would be listened to and receive a high quality health care (Freeman, Edwards, Baum, Lawless, Jolley, Javanparast and Francis, 2014). The health sector should work in partnership with the Aboriginal community as this would build a strong relationship and trust between them. The health professionals would also be able to understand the cultural beliefs and practices of the indigenous people and also identify their priorities. To build a mutual relationship and true partnership between these two parties there has to be a strong engagement and understanding between them (Molloy, 2017). The health professionals would understand the aboriginals and vice versa. They would accept them and take them as their equals. On the other hand, the ATSI people would feel free and secure to access the hospitals and therefore abolish the inequality existing in the health sector. 1. Australian Commission of Safety and Quality in Health Care. (2017). The National Safety and Quality Health Service Standards: User Guide for Aboriginal and Torres Strait Islander Health. Sidney: Australian Commission on Safety and Quality in Health Care. 8. Den Berg, R. (2010). 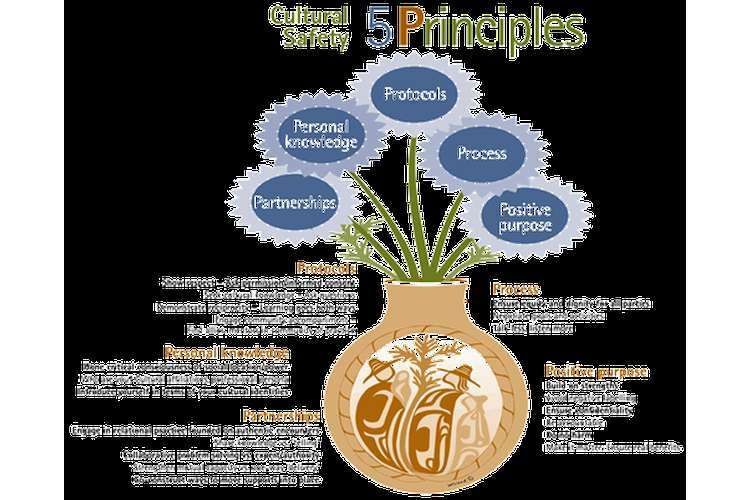 Cultural safety in health for Aboriginal people: will ti work in Australia? The Medical Journal of Australia, Vol. 193, No. 3, pp. 136-137. 10. Harfield, S., Davy, C., Kite, E., McArthur, A., Munn, Z., Brown, N., and Brown, A. (2015). Characteristics of Indigenous primary health care models of service delivery: a scoping review protocol. The NCBI, Vol. 13, No. 11, pp. 43-51. Doi: 10.11124/jbisrir-2015-2474. 12. Mazel, O. (2016). Self-Determination and the Right to Health: Australian Aboriginal Community Controlled Health Services, Human Rights Law Review, Vol. 16, No. 2, pp. 323–355, Doi: https://doi.org/10.1093/hrlr/ngw010.